When it comes to choosing a sweeper or scrubber for your next cleaning job, size does matter. You’ll also need to weigh up speed and manoeuvrability! There are a number of factors to consider. First, how big is your space? Is it inside or outside, accessible or difficult to manoeuvre in? Are there narrow aisles or paths? Is it an empty space or are there people around? Are there tight corners? Are there vehicles or street furniture? All these things need to be taken into account when choosing the right tool for the job. Sweepers range from small walk-behind battery models that can sweep up to 2,000 square metres an hour to large ride-on LPG units that can sweep almost 10,000 square metres (one hectare) in an hour. Walk-behind sweepers and scrubbers are suitable for interiors including shops, factories and building sites. The larger, faster ride-on sweepers and scrubbers can speedily clean large areas such as carparks and pavements and empty warehouses and factories. If you have a large area and few obstructions, ride-on units are the most efficient. Our largest ride-on sweeper has a two-metre sweep path and can travel at up to 10 km/h. Our biggest ride-on scrubber travels at up to 12 km/h with a scrub path of more than a metre. Walk-behind sweepers and scrubbers are designed for smaller areas with tight corners and obstructions. 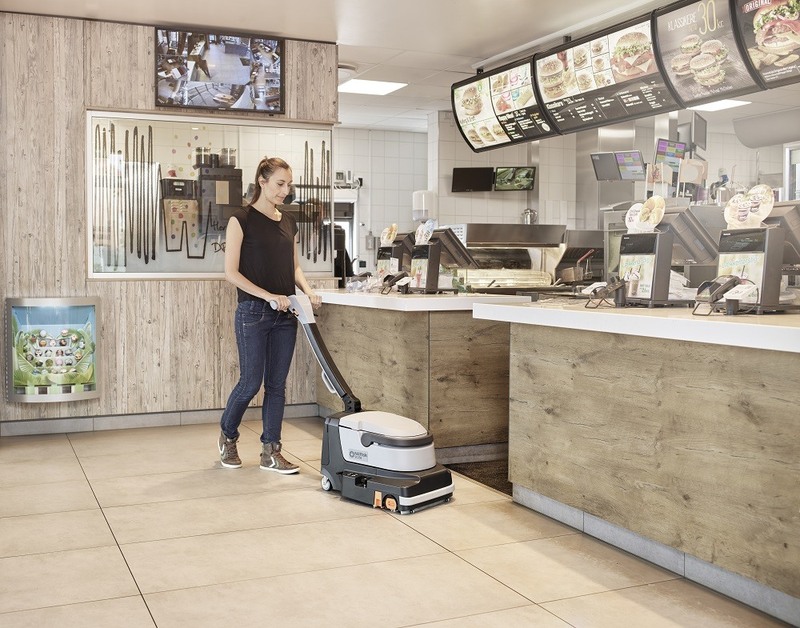 A battery-operated sweeper suitable for indoor use can move at speeds up to 4.7 km/h and is capable of cleaning about 3,000 square metres an hour. The smaller walk-behind sweepers and scrubbers come into their own in confined spaces where manoeuvrability is vital. Our battery-operated walk-behind sweeper features include dust filtration to three microns and a side brush for effective edge cleaning. 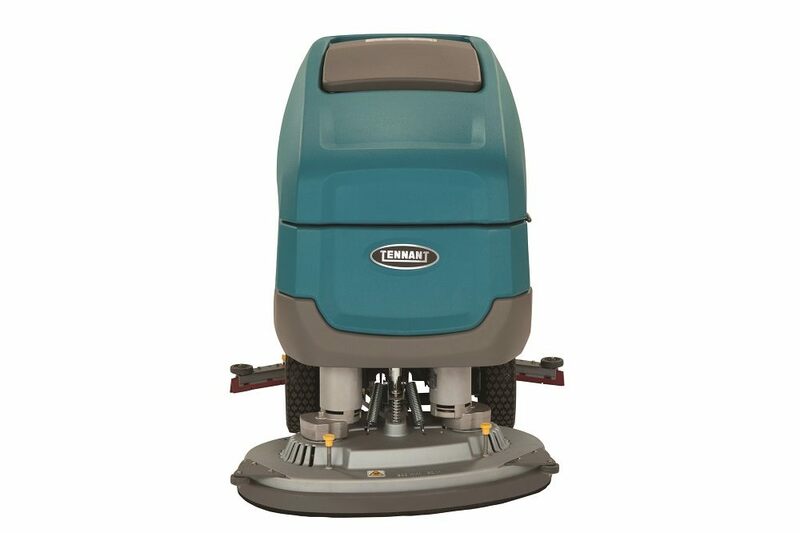 It’s suitable for cleaning factory floors, store rooms, workshops and carparks. The Nilfisk battery-operated walk-behind scrubber is lightweight, compact and super-efficient, capable of cleaning up to 1,360 square metres an hour. it weighs 25kg, which can be reduced to 20kg when the components are separated. Incorporating sweeping, scrubbing and drying functions, it can get into every corner and cleans in both directions. This little beauty is perfect for cleaning retail premises, including food outlets with greasy floors. Is noise an issue? If it is, go for a battery or electric unit. Our battery-operated ride-on and walk-behind scrubbers and sweepers excel in hospitals and shopping centres where noise must be minimised. The larger diesel and LPG models are better suited outside or in a factory setting, especially if you’re cleaning outside working hours. Electric and battery models offer a no-fume solution for interior cleaning. LPG and diesel units are a good option outside. Not sure what you need? Read our scrubber versus sweeper article here. Then talk to the experienced team at Kennards Hire. We have a complete range of sweepers and scrubbers for your next cleaning job.